This is an optional KDE Direct Anti-Rotation Bracket. 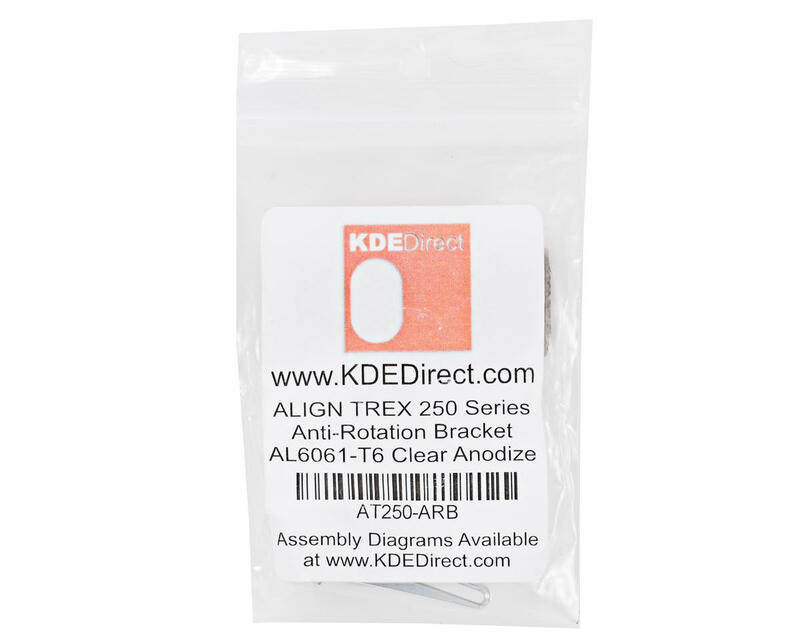 This bracket is intended for use with the Align T-Rex 250E/SE series helicopters and is a direct replacement for the stock Align part AGNH25044. 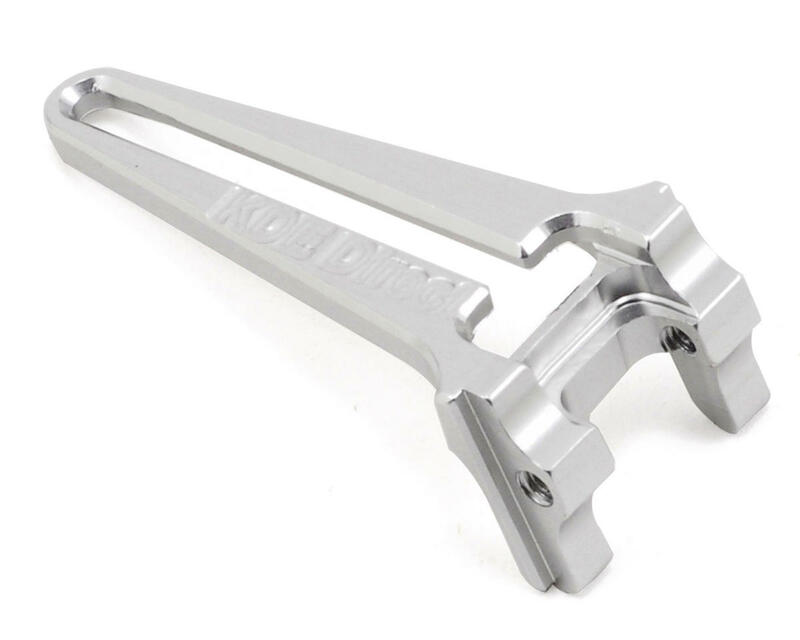 The KDE Anti-Rotation Bracket design utilizes high-end CNC machining to produce tight and accurate tolerances throughout the part, giving you the highest-level of flight control and accuracy available today. Additional clearance has been provided for the elevator servo arm, giving the pilot unmatched cyclic control and pitch range without binding. With the strength of the 6061-T6 Aluminum frame, the canopy posts are now fully supported; providing a rigid standoff for the canopy easily witnessed on the bench and proven in-flight.